Looking for a skilled Nooksack plumber? Get in touch with the certified professionals at Eagle Plumbing & Heating. Call us today at (360) 318-9999. To save on many of our valued services, click here. When dealing with plumbing issues, like a ruptured sewer line, a damaged water heater, or a malfunctioning sump pump, you should always leave it up to the experts. At Eagle Plumbing & Heating our certified professionals can perform any plumbing service with the utmost care and professionalism. We offer quality and cost-effective repair, installation, and maintenance services to the residents of Nooksack and the surrounding areas, helping to ensure that all of the plumbing systems in your home are operating at maximum efficiency. 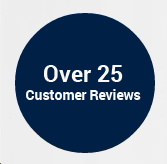 To see what your neighbors are saying about our quality services, click here. What are some common signs that you need to repair your sewer line? All of these signs point to major problems that can occur when your sewer line breaks or becomes severely clogged. If you are experiencing any of these issues it is important to contact our expert professionals right away in order for us to determine if repair or replacement services are needed. When you should you have your water heater replaced? Your water heater should normally be replaced every 8 to 12 years. However, with routine maintenance and timely repairs you can significantly extend the life of your unit. Additionally, tankless systems run more efficiently and usually outlast traditional water heaters. If you have an older water heater that is making strange noises, notice a significant increase in your monthly utility bills, or you water is no longer reaching its desired temperature, it is likely time to have your unit replaced. When it comes to installing a new water heater it is important to make sure that this service is handled by an experienced plumbing professional. If not installed properly a water heater can cause massive damage to your home and potentially endanger the lives of you and your family. Faulty water heaters can lead to floods, and gas powered systems can potentially explode or catch fire if they are not set up correctly. The certified professionals at Eagle Plumbing & Heating can help you to decide on the type of water heater that will work best for you and your home, and make sure that is installed safely. What are the benefits of having a sump pump? A sump pump’s primary operation is to remove water that accumulates within the basement of a home. For homes that sit on land with a high water table, a sump pump is absolutely necessary. An effective sump pump will help to ensure that your residence is safe from costly and potentially dangerous floodwater emergencies. It can also prohibit the growth of mold and bacteria caused by excess moisture. The professional professionals at Eagle Plumbing & Heating will help you to choose an efficient sump pump that is suitable for your home and budget. We also offer specialized repair and replacement services in order to guarantee the optimum functionality of your system. For professional plumbing services in and around Nooksack, contact the experienced professionals at Eagle Plumbing & Heating. Call us today at (360) 318-9999.